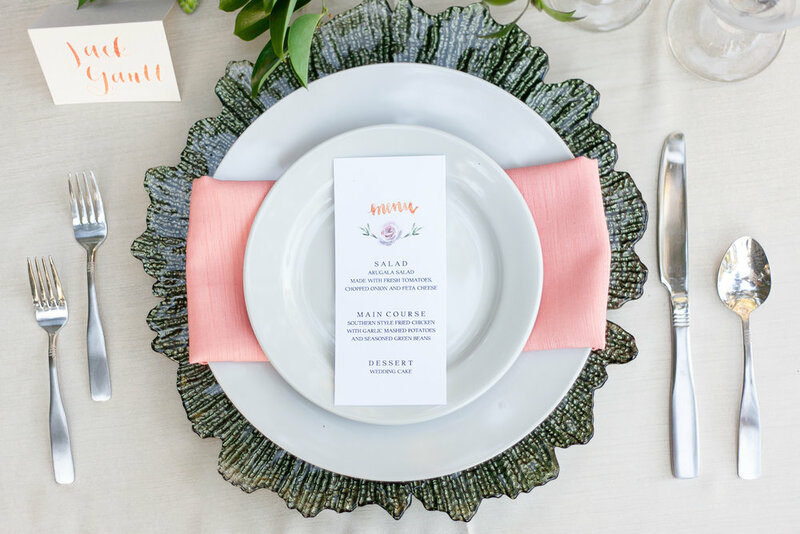 "This shoot was planned by Heather Benge of Styled Shoots Across America. 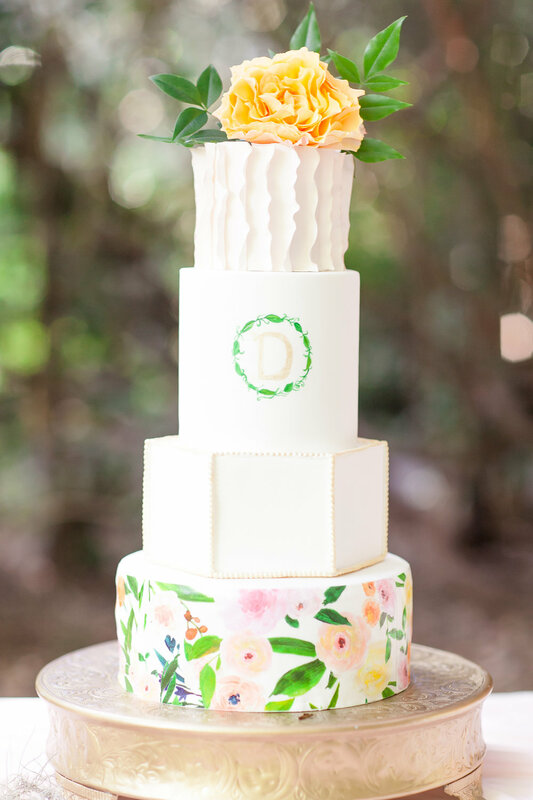 It took place at the gorgeous Magnolia Plantation & Gardens in Charleston, South Carolina. You may even recognize the venue from the movie The Notebook!" "The bright pops of pinks, greens, and oranges complemented the women's sophisticated evening gowns. 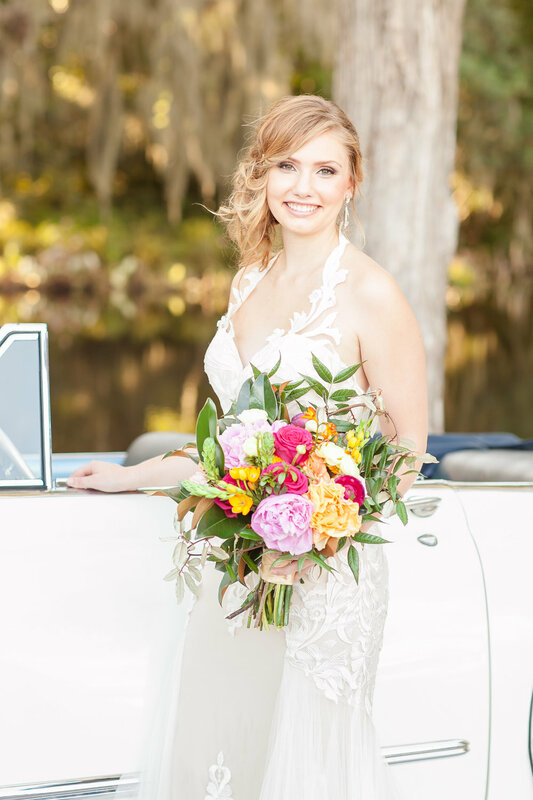 I was most surprised with the way that all of the different colors, fabrics, designs, and details pulled together to create a seamless look." 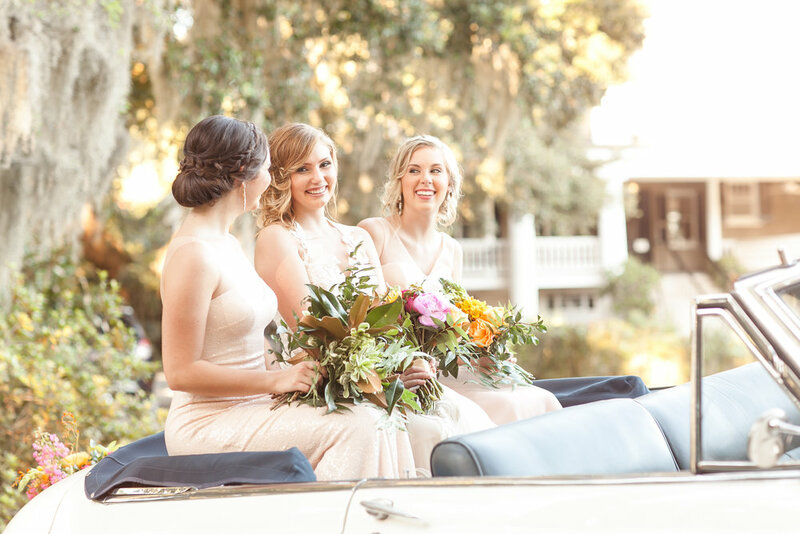 "The perfect picture of a quintessential southern wedding, it was complete with hanging Spanish moss, a vintage Oldsmobile, and large plantation home as the backdrop. This warm, classic, southern feeling finds its way into the images. While working in the 97 degree heat, we were also keeping an eye out for the alligator lurking in the pond and listening to the peacocks crowing." "You'll notice that we do not have a groom or groomsmen in this shoot. This was a last minute change that provided a challenge. However, I found that in the end, I was able to walk away with gorgeous images that really told the story of the day, and the girls were able to carry the shoot themselves."